I am making winter hats for refugees through the non profit org, Allied Aid. My mom volunteers in the group. 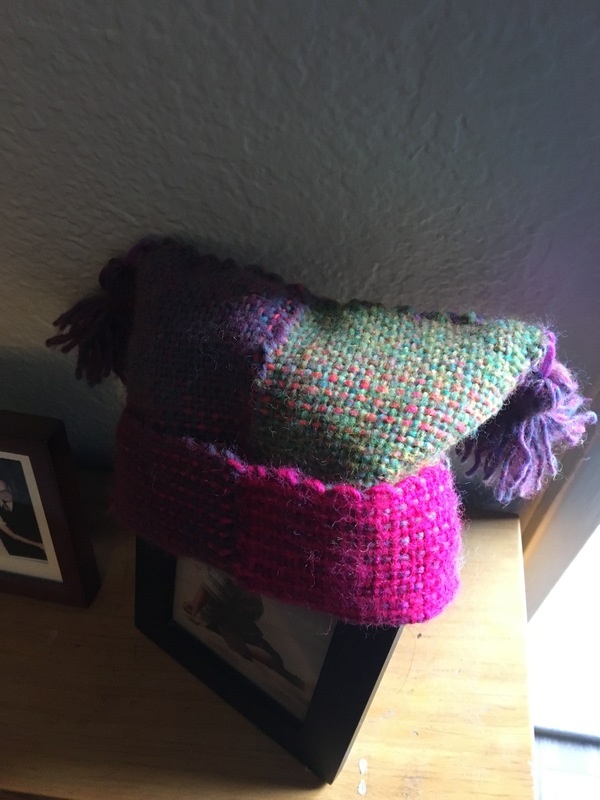 She went to a group activity, where they made hats by cutting fabric and sewing the pattern. They collect hats for all ages. I too, wanted to contribute, so I got started crocheting and weaving squares. The squares are being made on a little Weave It Loom a dear friend sent to me, which I just love!! Weaving these squares is addicting. Anytime my hand and wrist started to get tired or sore from crochet, I’d stop and weave a square. I finished this in a day. In between, mind you, I was making progress with the woven hat simultaneously. Very quick project and really like how it turned out. I fashioned the squares to make a woven version. I’m getting a great response on the style of the hats. They really would be adorable on a kidlets head. They are infant – toddler size. 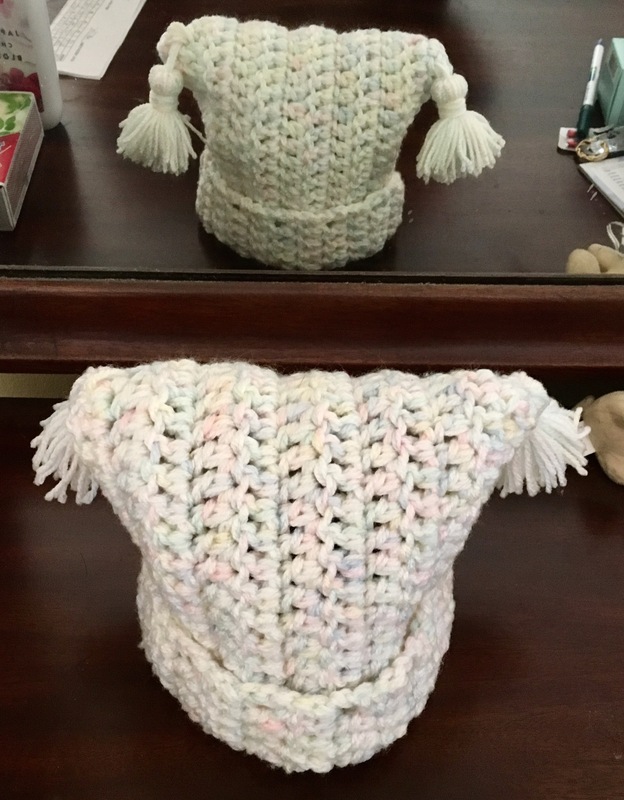 The crochet version is bigger and has more stretch. The lesson from that project was, if I’m not checking gauge, then make sure that it falls within range this chart gives for head circumference. I used WHO chart graphs, to ensure that this time my hats would fit a child. I love that you are doing this, Trisha. It is such a wonderful way to give back to others, and I am sure they are very grateful for the special hand made hats you are sending them. When I saw your post on Facebook about this, my first thought was that I’d love to donate some hats as well… because it’s so kind and compassionate. Now, If I can only find the time… I’ll do it! You are an inspiration.